For one of our lab servers, we needed reconfigure an ESXi host from dynamic (default) to static IP address. Following are the steps, that worked for us. Not sure how, screenshots could be take from a ESXi console, so only text instructions for this post. Go to the physical ESXi machine and perform the following operations. Select “Network Adapters” and hit enter. Make sure the status says “Connected“. Enter a valid static IP address in your network. Select DNS configuration and hit enter to change its settings. Press Esc to main screen. Hit “Y” to accept/apply the changes and restart the host for changes to take effect. Helpful hints: For Subnet mask, DNS, Default Gateway, etc, I ran ipconfig /all on a different physical machine next to this ESXi host (in the same network) and used the same IP addresses. After restart, the ESXi host shows the new static IP address with Hostname. Thanks for this post for teaching me. Sql Browser to rescue. 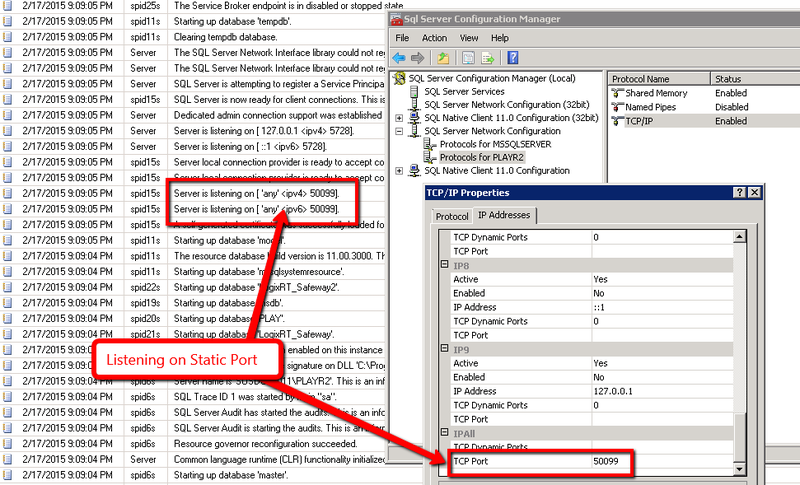 When you connect to a named instance without specifying port number in the connection string, the connection is still successful because SQL Browser running on the machine takes that incoming request and re-directs it to the named instance through appropriate port number. 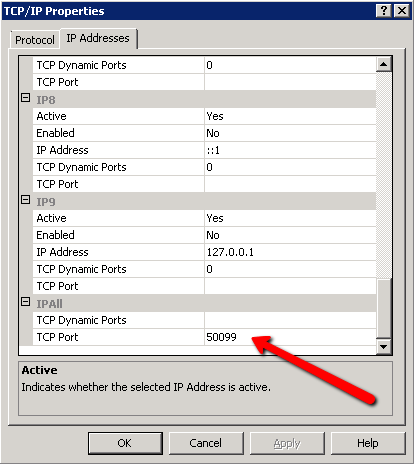 In properties window go to “IP Addresses” tab, and scroll to the bottom (like the image below), and enter a port number in the “TCP Port” section. Make sure the “TCP Dynamic Ports” is empty. 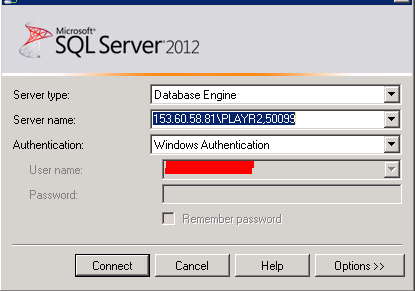 Now, when you restart the instance, Sql Server will come back up while listening to this static port. 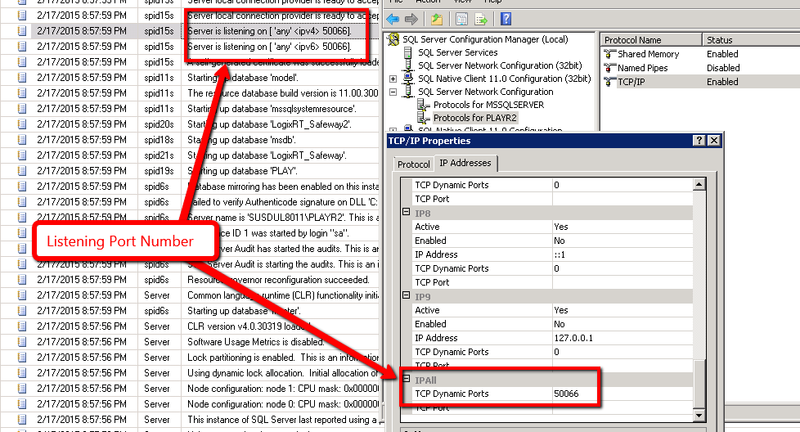 See Sql Server Error Logs and TCP/IP properties window below. When I restore databases from one instance to a different instance, i.e. from QA environment to Integration environment or to UAT, this issue of orphan users occurs. 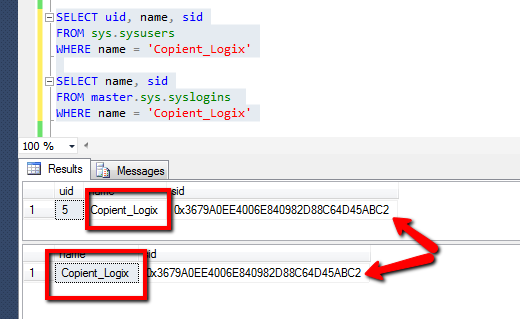 So, when you restore a database from one instance to another instance, this sid mapping will be incorrect; Resulting in orphan users at the database level. To correct this, we could take these steps. Get a list of users that are orphans.